Ever wondered what makes the cut when it comes to a fragrance expert’s personal stash? Us too! Today marks the fourth instalment of our Inside Our Fragrance Expert’s Fragrance Wardrobe series, a candid look at Thomas’ fragrance collection to reveal once and for all the favourites that he turns to time and time again. The next stop on the journey? The go-to scents! So far on our whistle-stop tour of my perfume collection, we have traversed the many olfactory families, focusing on those chypres, white florals, woods, and citruses that I hold close to my heart (or in reality, my nose). For this instalment, I want to take you away from the categories of scent, the genres, and the styles, to instead offer you a selection of scents that are incredibly important: my go-to fragrances. But what is a go-to fragrance? Well, it’s mostly a fragrance that I keep coming back to. It may be a favourite, or it might just be a comfort scent that I reach for often. It could also be a fragrance that I wear when I’m unsure what to wear – a scent that I know will always work, no matter the occasion and regardless of my mood. These are the old (and sometimes new) faithfuls that I find myself reaching for on the regular. They are my go-to fragrances. Many iris fragrances are baroque and melancholic. They are the olfactory equivalent of the colour grey, with a texture of fine powder and an odour profile that moves from violet to carrots in slow, sweeping motions. Iris fragrances are beautiful, it’s undeniable, but the truth is that it isn’t every day that one fancies wearing a perfume that could be described as ‘Mrs Haversham in a bottle’ so a modern twist is the perfect thing, truly. 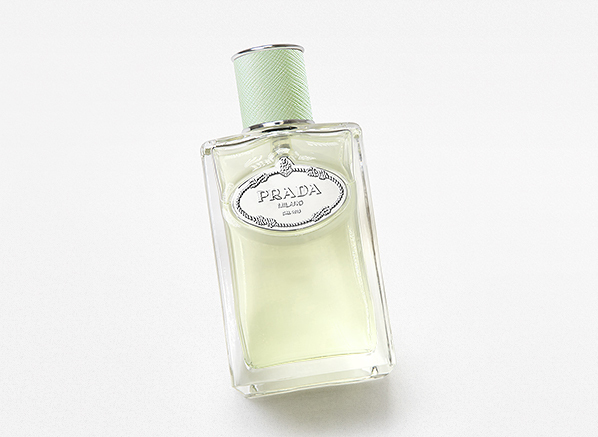 Infusion d’Iris by Prada is that modern iris, and it uses masterful transparency to stretch the plushness of iris into a luxuriously soft suede. This iris is sparkling and effervescent – it has remarkable transparency matched only by its equally remarkable tenacity. It wears like a shimmering cloud of suede particles – a fresh iris mist with mineral facets and a beautiful radiance. I wouldn’t be without a bottle, ever. We now move from the sublime to the ridiculous. 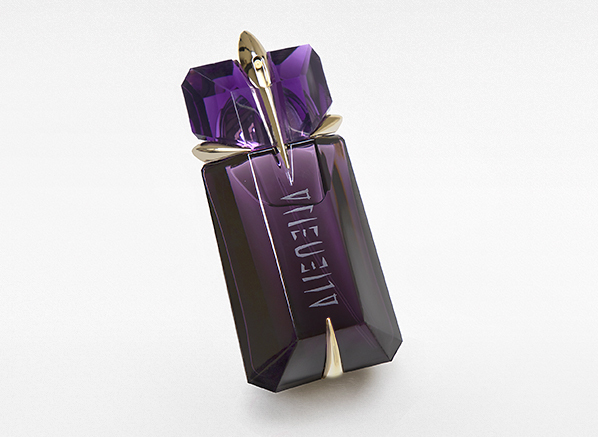 MUGLER is well know for their unusual fragrances – fragrances that divide opinion, with some people fascinated and beguiled, while others are left running in terror. I appreciate that polarising nature and have always been attracted to the showmanship one finds in a MUGLER fragrance. Alien is the one I find myself magnetised to the most. As a lover of the BWF (big white floral), Alien’s intergalactically radiant jasmine note is addictive to me while its contrasting bed of cashmeran, amber, and blond woods brings an intriguing strangeness that I can’t stop sniffing. Alien is definitely one of my more unusual staples, but whenever I’m in the mood to make a statement, it never lets me down. I love a rose. Rose is my favourite note. Whenever I try a new collection of fragrances I ultimately always end up falling for the rose. Do you get the idea? 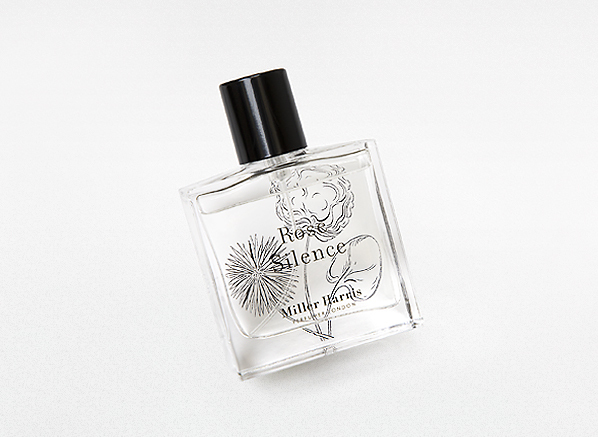 So yes, rose is my thing, and no rose is more my thing than Rose Silence by Miller Harris. To me, this is the perfect rose. It is the smell of freshly cut pink roses caught on a delicate breeze of musks, all fresh and dewy and filled with fruity accents of blackcurrant and musk. 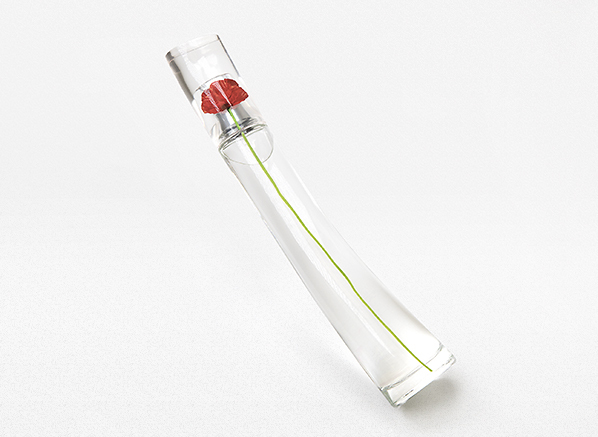 This is the perfect fragrance – one that makes you smile and never feels wrong. When Mon Guerlain came out a few years back, I remember thinking “yes, this is very nice, very GUERLAIN but it probably won’t replace my favourites from the brand”. I was wrong because the remarkable thing about Mon Guerlain is that it gets under your skin, ever so slowly. I just kept coming back to this silky smooth malted lavender and always take great comfort in its balanced gourmand tones that never felt overbearing or sickly. Mon Guerlain is my go-to when I really don’t want to overthink what I’m wearing. 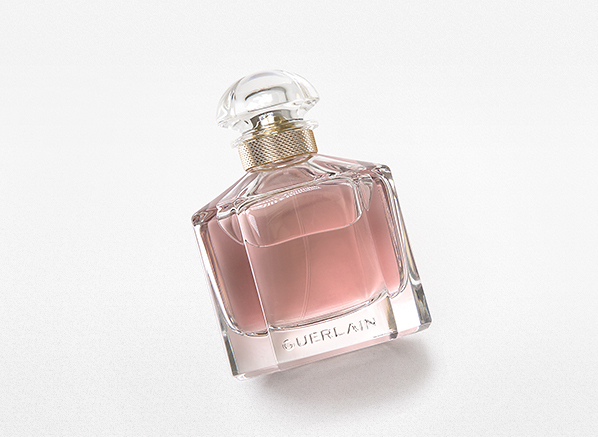 On those days, Mon Guerlain soothes me with its delightfully affable signature. Anyone who is anyone has to have at least one oud in their collection, and I am no exception. For me, ouds are often statement fragrances worn when one wants to make an impression, so I tend to wear them either during the winter for warmth, or when I’m going out to do something fancy. 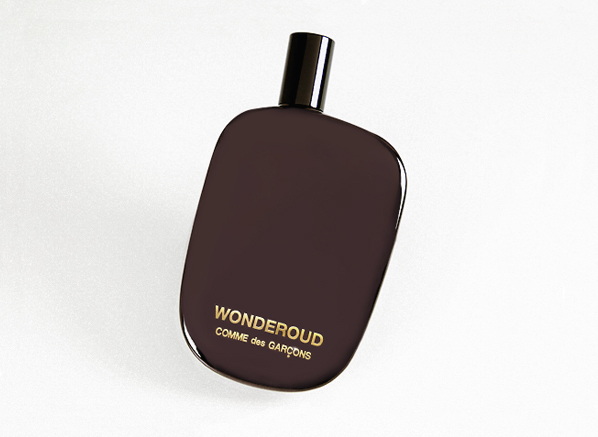 That said, I do have a go-to oud: Wonderoud by Comme des Garçons. I like Wonderoud because it doesn’t smell particularly oud-y (i.e. it doesn’t smell like blue cheese in a barnyard, which is what oud really smells like), instead it smells like scorched bark and petrol, with a lovely dusting of spicy cedarwood. Its angular beauty is something I want to revel in all day, every day. If I could, I would have Kenzo everything. I would literally be head to toe in the stuff; shoes, caps, bags, trousers, and tops – you name it, I’m going to wear it. Unfortunately for me my budget is more no-Kenz than Kenzo, so I have to make do with just their perfumes, and maybe a few bags, shoes, tops and shirts (OK I have a lot of Kenzo, sue me). Kenzo Flower by Kenzo is the brand’s flagship fragrance, and it’s easy to see why – it’s a soft powdery floral presented in an abstract fashion, meaning that it doesn’t smell of any one particular flower. Instead, this flower smells like the flower of the brand, where an architectural bloom is softened by powder and vanilla. It’s the perfect thing for me to reach for when I’m in the mood to feel a floral Kenzo fantasy, which is quite often, rather unsurprisingly. This entry was posted on Thursday, January 17th, 2019 at 10:16 am and is filed under Candy Perfume Boy, Fragrance, Tried & Tested. You can follow any responses to this entry through the RSS 2.0 feed. You can skip to the end and leave a response. Pinging is currently not allowed.